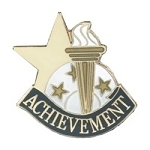 Honor and award your students or employees with our beautiful achievement pins. 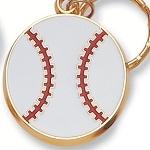 Each pin measures 1" x .875", has a gold finish and clutch back. Each pins comes in a foam lined presentation box with a clear see through lid.